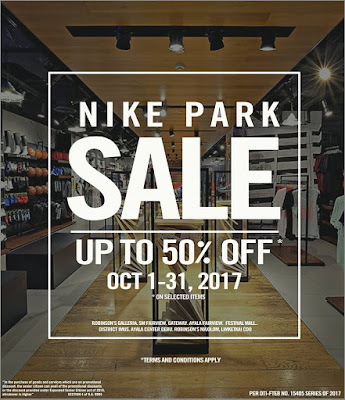 The Nike Park Holiday SALE happens until October 31, 2017. 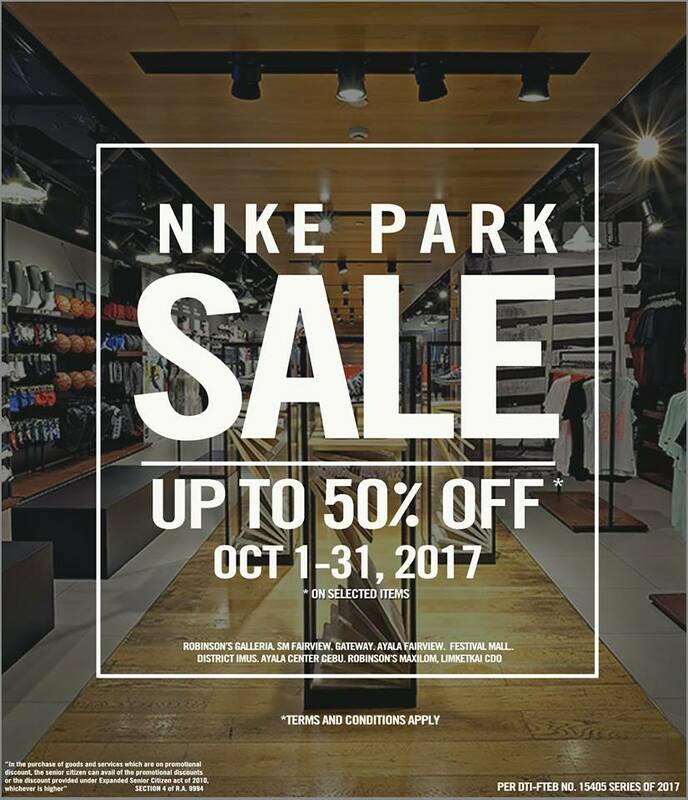 Get up to 50% off on selected Nike footwear, apparels, and accessories. Check it out in all Nike Park Stores nationwide. Find Nike Park Stores at Robinsons Galleria, SM Fairview, Gateway Mall, Ayala Fairview Terraces, Festival Mall Alabang, District Mall Imus, Ayala Center Cebu, Robinsons Maxilom, and Limketkai Mall CDO.